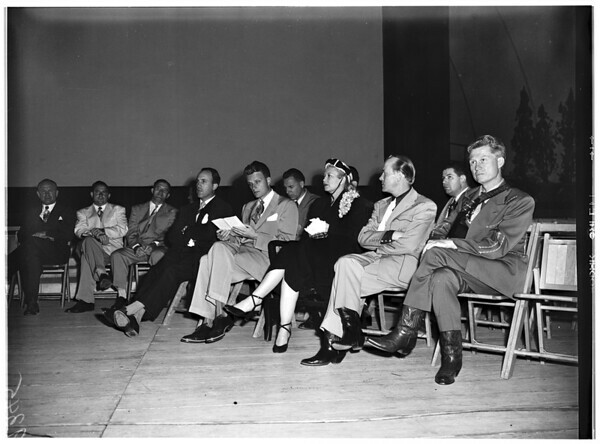 Billy Graham's "Mr. Texas" Film Premiere, Hollywood Bowl, 1951. Hollywood Bowl, Monday (Oct. 1). #49: Crowd of people standing in the dark at Hollywood bowl. Portion of the crowd of 1000 persons who 'hit the sawdust trail' at the premiere showing of Billy Graham's color-sound film, Hollywood bowl Monday evening (Oct. 1)".